Seventeen (count ‘em!) 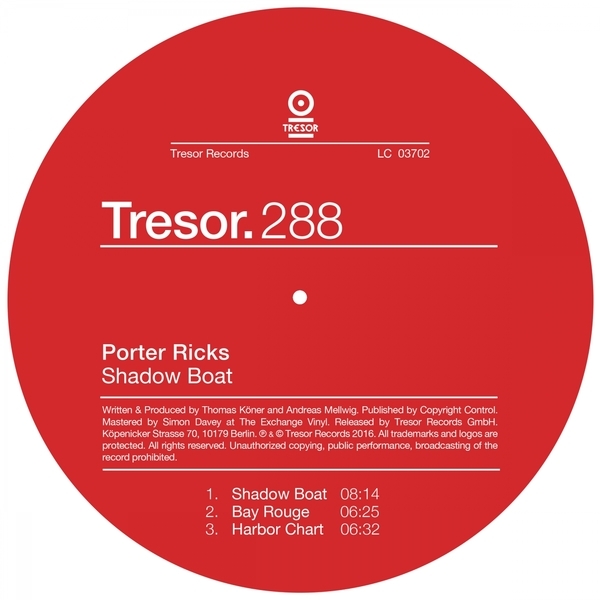 years since their split side with Techno Animal, Andy Mellwig and Thomas Köner’s legendary Porter Ricks shores up on Tresor with three cuts of brand new material as immersive as any of their ‘90s dub techno classics. Since that last release in 1999, Mellwig has busied himself with Experimental Audio Research alongside Kevin Martin, Pete Kember and Kevin Shields, whilst Köner has continued to pursue a dark ambient zeitgeist deep below the surface, before the two remerged for a sublime remix of Ryo Murakami in 2014. 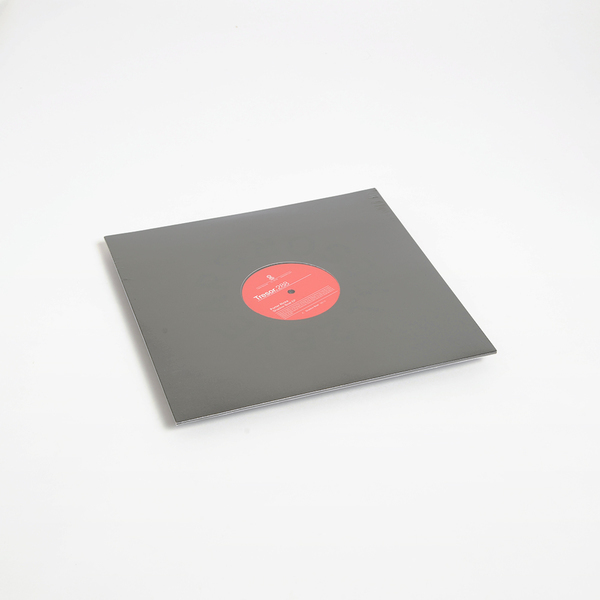 Shadow Boat dials in the duo’s first material since then, and they’ve patently not lost their lust for total dancefloor immersion. The title cut is a lushly visceral demonstration of techno at its most enigmatic, effective, diffracting beautifully elusive melodies and haunting harmonics thru silty black, subaquatic bass dynamics that leave us reeling, before the crushed, acidic chug of Bay Rouge stretches out on a more elastic sort of acidub grind punctuated with killer woodblock, and Harbour Chart comes up for air with a bad case of the bends emphasised by glitching rip-currents sure to mess with the dance.